Modern purpose built, private surgical hospital, with facilities that are comparable with the best in New Zealand. The hospital was rebuilt in 2001, and redeveloped in 2011, having provided health services to the people of South Canterbury since 1912. With just 14 inpatient beds and a 14 bed day surgery unit, Bidwill is small enough to provide quality personalised care and attention. There are three fully equipped operating theatres. Bidwill is the only private surgical hospital in the South Canterbury region, offering an extensive range of services including general surgery, orthopaedics, ENT, gynaecology and ophthalmology. The hospital is a charitable trust and all profits are invested back into the hospital ensuring that the best equipment and facilities are maintained. The hospital has a three year certification from the Ministry of Health and is ISO 9001 accredited. 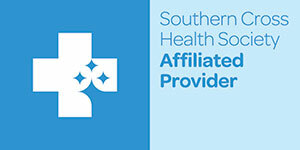 The hospital is a Southern Cross Affiliated Provider and holds orthopaedic, general surgery, skin lesions, endoscopy, urology, ophthalmology, and ENT contracts.